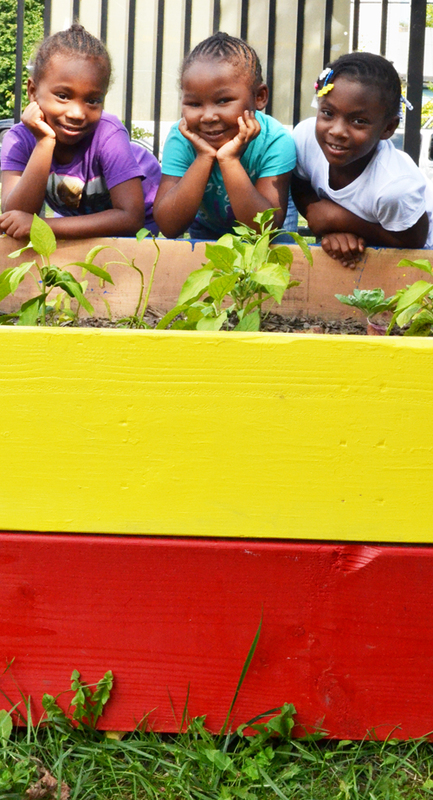 Children on Buffalo’s East Side have a wonderful place to learn about gardening and nutrition, thanks to the teenagers on the Green Team, an environmental job training program for high school students run by Groundwork Buffalo. 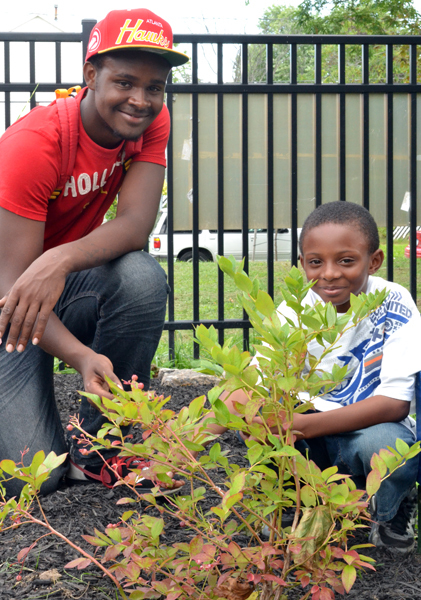 The Green Team created a teaching garden at the African American Cultural Center, 350 Masten Ave., Buffalo. 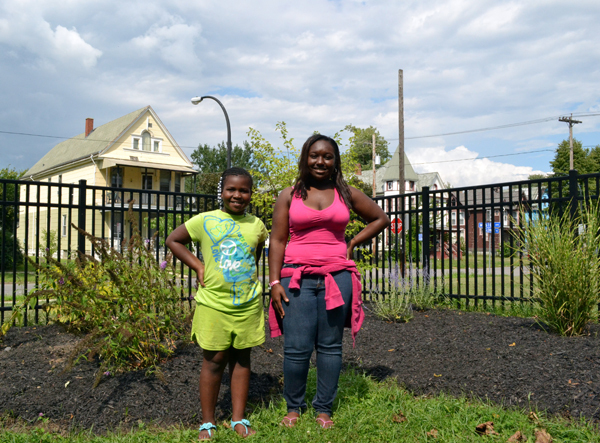 In the photo above, Chans Dean, 8, left, and Akilah Broadwater, 17, show off the new raised perennial beds that the teens created to line the fence in the 50-foot-square garden. The goal in these beds was to create a habitat for birds and butterflies. Surrounding the girls are butterfly bushes, Russian sage and zebra grass. The teens also built and painted two large raised beds for vegetables, which you can see in the photo at right. From left are Kennede German, 6; Sanaa Jones, 5, and Talia Nesbitt, 6. The younger children are “Little Sprouts” from the summer day camp program at the African American Cultural Center. The Green Team also serves as mentors and facilitators for the program. Romni Randle, 8, whom you can see in the photo at left with Kenny Hayes, 15, said he had fun planting in the garden with the other kids. “I learned about butterflies. They like those plants over there,” Kenny said, pointing to the butterfly bush. If he gets another chance to garden, “I would like to grow some beans and some lettuce because those are vegetables,” he said, and he knows that vegetables are good for you. In addition to gardening, the Little Sprouts learned about nutrition from VISTA members who are assigned to Groundwork Buffalo. “I wanted to reinforce the idea of eating a rainbow of vegetables and being outdoors and getting exercise,” said Emma Prins, VISTA member who has a background in public health. “We had kids plant in the garden setting so they would know where food comes from,” added Michelle Schmidt, another VISTA member. The Little Sprouts have been enjoying eating blueberries off the bush in the garden, a lesson in eating well that is sure to stay with them! 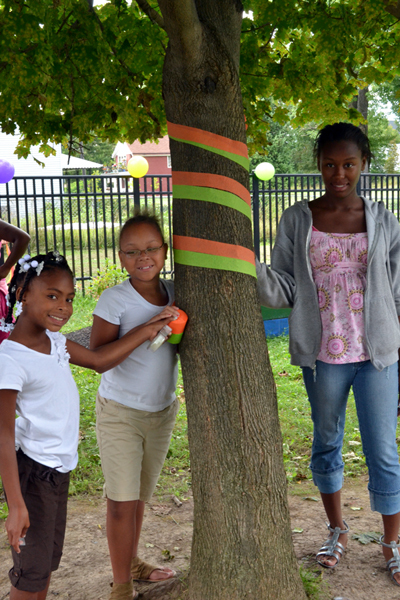 At a party marking the end of the summer program, the youth decorated the mature maple tree in the garden, which they have named “Michael Maple Jackson.” From left are Kiya Thompson, 8; Akeyonna Goldsmith, 8, and Quanaejah McPhyrce, 14. The garden project provided the Green Team with an opportunity to learn landscape design, horticulture, grounds maintenance, team building and project management. Groundwork Buffalo is a local affiliate of the Groundwork USA Network, a group of independent, not-for-profit, environmental businesses called Groundwork Trusts. They’re working with communities in conjunction with the National Parks Service and the Environmental Protection Agency to improve their environment, economy and quality of life through local action by getting people, business, government and other organizations involved in practical projects. Anyone with a green thumb can share their knowledge by working with the teens on the Green Team. Groundwork Buffalo will be working on four vacant lots in the Best Street area. They need volunteers to spread mulch and do other gardening labor. 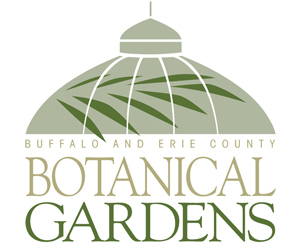 If you have perennials to share, you can donate them to Groundwork Buffalo or Grassroots Gardens. 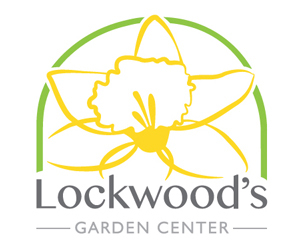 For more details, you can visit Groundwork Buffalo’s website, visit their Facebook page, call them at 238-0750 or email them at TFulton@groundworkbuffalo.org.